For many families, groceries make up a large portion of their monthly spending. If you’re looking to spend less every month, it’s possible to save a considerable amount of money on groceries. Knowing your prices is one of the best strategies to save money on groceries. It helps you evaluate the sale flyers to know if a sale really is the best price in town. Prices are always changing. If you track the prices, you’ll know when to stock up and how much to buy. The simplest way to really understand your local food prices is to create a grocery price book. 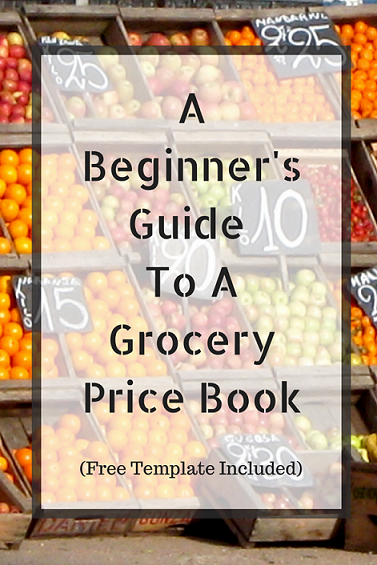 What is a grocery price book? A price book, also called a price comparison chart, is a sheet that tracks the prices of the items you buy most often. It takes sometime to set up, but you’ll earn back your time quickly. When I was browsing Giant, I saw that the chicken bouillon was on sale and thought I should stock up! It’s a good thing I didn’t. It turns out the sale price really isn’t a sale at all. If there’s a sale that really is less than the everyday price at Walmart, I’ll be sure to stock up then. In this article, I’ll walk you through exactly how to set up a grocery price book for yourself so you can begin saving money on your grocery bill. What’s The Best Format For A Grocery Price Book? A spreadsheet is a great tool for organizing your grocery price book. While spreadsheet programs like Excel or Open Office will work, my personal favorite is a Google Drive spreadsheet. I can access the spreadsheet from my smartphone while at the grocery store to check prices on the fly. If you really prefer to use paper, it’s possible to use a paper notebook to track prices. Make a page for each item you use frequently and then create the necessary columns across the page. You can also create a binder with pretty printables like these at Organized Home or by using free printable lists available here at Canadian Budget Binder. What Do You Track In Your Grocery Price Book? There are a range of things you can track in your grocery price book. It’s a balance of collecting enough information to be useful, while making it simple enough to maintain. I track the store, product category, item, brand, size, price, whether it’s a sale or the standard price, and the date. I then calculate the unit price of each item. Ultimately, you’ll want to compare the unit price of the item to what’s the lowest price. That’s the price of the item divided by the size. It’s now possible to compare the 48 oz bag the bulk walnuts in the bin at the same store. The price is 20% less. That’s a considerable savings. Tracking sales by date is also useful. By tracking the prices over time, you’ll be able to identify the length of the sales cycle and when the sales occur. If you have a good guess of how much you use, you can buy enough when it’s on sale to carry you through to the next big sale. To get my initial list, I looked over my receipts to find items that I bought multiple times over the last month. You can start with a smaller amount — say 10 items — if that helps you get started. I’ll add more items to my list as I continue to shop every week. There are several ways to get prices: receipts, grocery store flyers, and visiting the store. I wanted to get an overview quickly, so I just walked around my local stores and wrote down prices. If you don’t like the sound of that, it’s fine to just work off your recent receipts and your local flyers. Groceries are sold in so many places, from your local grocery store to even gas stations. Personally, I chose to start with 5 grocery stores that are within a 10 minute drive of my house. Over time, I’ll check the smaller stores like the international grocery store and the pharmacy. It took about 10 hours to capture 400 prices at five different stores. While 10 hours seems like a lot of time, I’m sure I’ll earn back the value of my time quickly. If I buy 100 items a month at $0.50 less each, I’ll save $50 every month! Now that you’ve built up your price comparison chart, you’ll want to use it to continue saving money. To avoid stopping at a large number of stores every week, visit stores on a monthly rotation. If you visit one to two stores every week, you can cover all the stores on your list on a regular basis. You’ll also want to continue to check for deals. The easiest way to do this is to look at the grocery store flyers online and just go ahead and add in prices as needed. Now that you know exactly what to do to get started with your grocery price book, it’s time to start saving! Don’t forget to Subscribe to Canadian Budget Binder by Email to get my daily email. Once you subscribe you MUST VERIFY your email account so check your spam folder and inbox for that email! If you like FREE then click this link for my Excel Budget Spreadsheet and Free Money Saving Lists! No problem mate we love it and still use it. This is a great post – thanks for sharing! I just started blogging about our journey to pay off debt and we definitely need to cut our spending on groceries. A price book will be a great resource! I hope you enjoy using it Alex.If you are interested in cutting your budget please consider joining our grocery game challenge which starts up again the first week of January 2015. Rules on how to post and save are on the blog. Thanks – I was reading about the grocery game challenge. I’ll definitely participate in January! I usually go to the grocery every week and I also compared prices. I’m glad that my favorite mall has lower prices compared to other grocery stores. All of the best prices are pretty scattered for me, unfortunately, so I rotate stores. That’s good that you can just go to one! My wife has been doing this for a while now. Especially important is the Unit Price comparison when Costco is part of your grocery shopping destinations and their sometimes larger containers. Unit price is the key! That is — as long as you can use everything in whatever size you buy. When I started tracking our grocery budget I spent quite a bit of time creating my price book and learning my prices. I was amazed how many sales weren’t. Or at least weren’t as good as the sale price could be. Now I can spot a deal without using my price book. I also mostly shop at our discount grocery store and when I walk into a regular grocery store everything seems so expensive! I always check prices and if an item is on sale I check the unit price on the shelf tag to see how it breaks down. I keep a mental list of the most common items I buy but I’m thinking I might want to make myself a paper list to use at home for making my grocery list. I’m in a small town with two stores for groceries. A lot of people fuss that the one across the street from me is expensive. I’ve run the prices at the other store as have a couple of other people I know and my closest store does come out cheaper. Mind you the stores in the nearest small city to us is even cheaper but I can’t always get there to take advantage and we must work with what we have….. A very good article with plenty to think about!!! Unit price is the key! I’ve actually switched my default cheap store from doing this exercise. I’m out of practice due to an old job that took way too many hours of my life, but I used to note prices beside the item on my list as I was making my way through the store. It paid off more than once when I checked my receipt and found a price discrepancy. Some stores give you the item for free if you catch an incorrect grocery scan. Writing the prices down seemed to make them stick with me better too, so I knew if something was a good price or not. I like your grocery price book because it gives the unit price – a helpful tool as the larger “economy” size is not always the most economical choice. After doing this, I found I remembered prices better too. I’ll have to try that tip of writing prices down on my list as I go! I do the same, and I add a note as to whether the price refers to local/in-season or imported. Also add brand names for the few items where it matters to me. 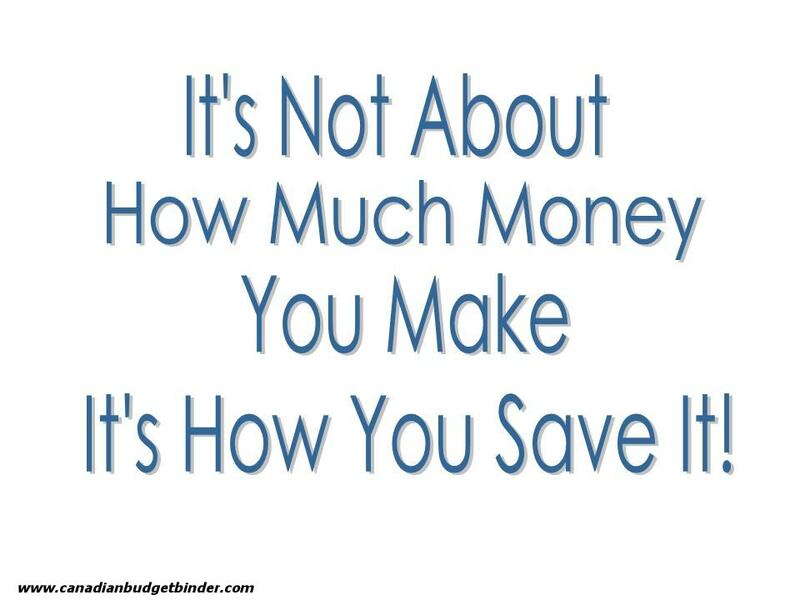 This coming year I am handing over the grocery budget to my spouse and I look forward to seeing how he does with it! Maybe some day I’ll hand over the groceries to my spouse. 🙂 That’d be nice. I’ve done most of the grocery shopping over the years as I’m good at picking out the fresh stuff and the deals.